One day after finishing last, Nacer Bouhanni (Cofidis) rebounded in fine fashion by sprinting to win the sixth stage of the Vuelta a Espana on Thursday. Rudy Molard (Groupama-FDJ) kept the lead for a second straight day after finishing safe in the bunch. 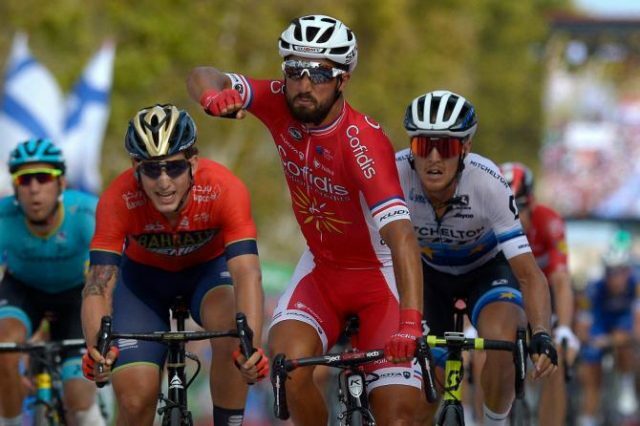 Bouhanni also won two stages in the 2014 edition of the Vuelta. 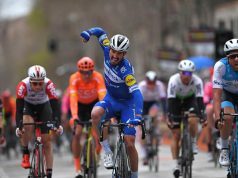 But after not being selected to ride in the Tour de France in July, Bouhanni was having a rough start to this year’s Vuelta. 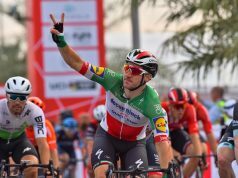 Bouhanni finished Stage 5 in last place, 25 minutes behind the stage winner. He was also handed a 30-second penalty that was originally reported by Spanish media as resulting from a heated argument with his sports director. 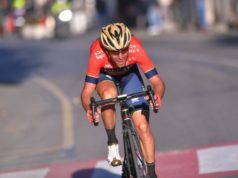 Cofidis denied that there had been a dispute and attributed the penalty to the rider taking food in a prohibited area. 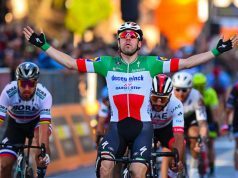 Bouhanni proved a day later why he is considered one of cycling’s top sprinters by charging to the win ahead of Danny Van Poppel (LottoNL-Jumbo), followed by Elia Viviani (Quick-Step Floors) in third. 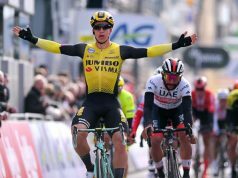 The stage was uneventful until a small crash rounding a corner in a town crossing with 25 kilometers remaining as the peloton entered a section subject to crosswinds. 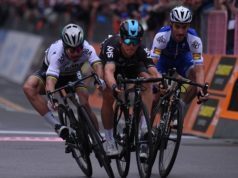 The cyclists broke apart and a pack of trailers including Wilco Kelderman (Team Sunweb) and Thibaut Pinot (Groupama-FDJ), who both started the day in the top 12 spots, lost 1 minute, 44 seconds. Molard maintained his 41-second lead over Team Sky’s Michal Kwiatkowski. Richie Porte (BMC) got out on an early breakaway with Luis Angel Mate (Cofidis) and Jorge Cubero (Burgos-BH). The peloton caught Porte and Mate with 32K left. Cubero lasted for three more kilometers. The seventh stage remains in the southeastern region of Murcia on Friday for a relatively flat 185.7-kilometer from Puerto Lumbreras to Pozo Alcon.